Microsoft Skype is best chat & video call service, now it is integrated with Facebook to facilitates the same video call service to users . You may signup in Skype using a Facebook Account or you can create a separate Skype Account, If you choose Facebook then no need to fill the form , Skype will get information about you from Facebook account itself. Enter your meaningful Skype name and password to login in Skype, you may install the Skype on your system, can login in Skype account quickly. 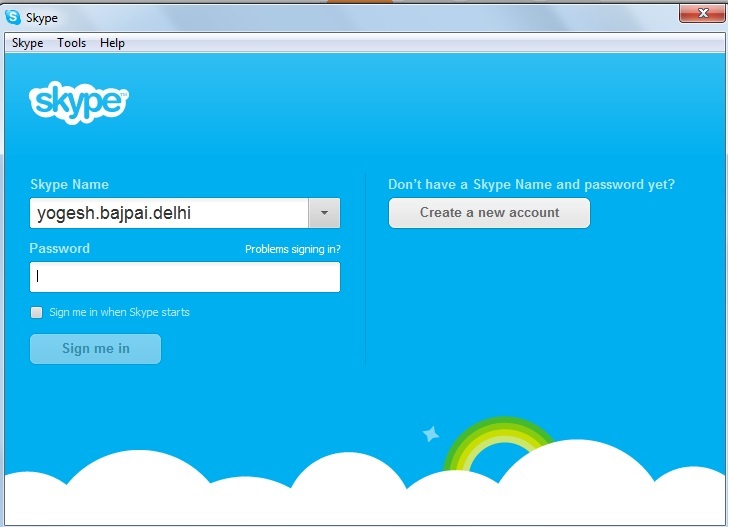 I have login with Facebook account and can call friends at single place, you may make conference call too using Skype. After the download and install the software search the Skype in your program list, click on Skype icon, you will see screen to login, enter your Skype Name and password. First import contacts from Facebook then after click on Facebook Icon to get displayed Facebook online users in Skype account, click on green call icon to make call with your friend, for the video call you and your friend must have webcam, without webcam you can use microphone to make audio call. 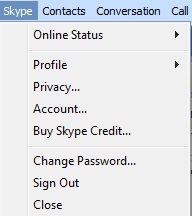 Click on Skype option as shown below , choose Sign Out option. This entry was posted in Technology on June 30, 2012 by Yogesh Bajpai.